If you wish to remove facial hair with laser at home, you might find it is not such an easy mission to do. There are some reasons for that, and here you can read more on how to remove facial hair. 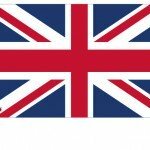 There are some threats and dangers you might want to avoid, and some tips that might be useful for you. If you have read some of the TRIA home laser review you probably saw that the home laser device was not meant to remove hair from the neck and face. Unlike the Med Spa or the cosmetic clinic, working with laser light so close to the eyes can be a real danger, and home laser hair removal system manufacturers do not want to the the risk of causing scars or blindness with their products – even if it is occurs because of miss use. The facial hair most people men or women wish to eliminate are the eyebrows, the glabella (the area between the eyebrows and above the nose, most often referred to as the “uni-brow”, sideburns, upper lip, chin and neck. On women hair on these places are unattractive, are hard to cover by makeup, and even can change the face expressions and personal communication, thus lowering self confidence. 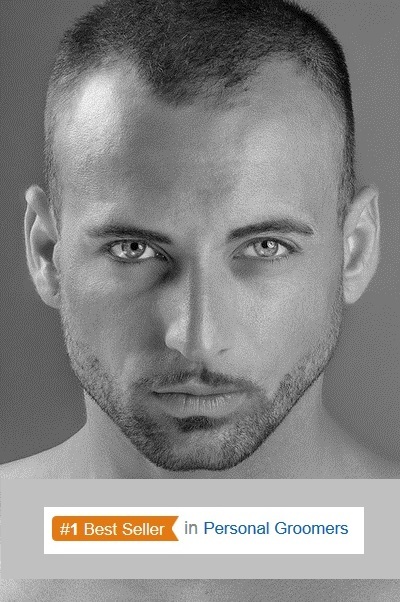 Men usually wish to remove hair from the face when it is too coarse and the beard line goes all the way up the cheekbone. The nostril and inside the ear are places where unwanted hair grows too. Some of these locations are too close to the eyes (eyebrows, side burns, upper cheekbones) and that’s why facial laser hair removal at home with the home device can be dangerous. Laser hair removal can cause some side effects, that in case they happen on other body locations can be unpleasant, but in case they happen at the face can be very agonizing ! The skin tone too dark for the specific laser used. The hair color is too light. The laser light wave is penetrating too deep. The pulse is too focused and the heat is too intense. Not enough cooling while treating the skin. These can happen when some of the terms where not properly checked before the laser session. As it can happen even at the laser clinic, it may happen even at home. The result can be redness, scarring, pigmentation (Hyper Pigmentation – dark spots, Hypo Pigmentation white spots), and eye injuries and even blindness. Using the Laser near the eyes can burn the retina and cause significant and maybe permanent damage to the eye. The main risk is all this will happen without causing any sort of pain in the process. Both the patient and doctor may not know that damage is occurring until after the fact – when it is too late to do anything about it. At the Med Spa or the laser clinic, another person who is well trained and has experience is the one who works with the laser so close to the eyes. The laser technician should hold the laser with steady hands, with a precise grip, making sure the laser beam is aimed at the place it needs to be. The laser technician will move the beam over your face, making sure it is away from the eye area at all times ! You will be given dark laser proof safety goggles to wear so you will be safe from the laser beam light, if in any chance it goes near your eyes. They have a very small pin point tip, where the laser beam comes from, so the laser beam is not projected to unwanted areas. Skin tone sensor at the tip, makes a check of the skin color tone before the laser is on, to avoid the laser beamed at dark/black skin. Some have a safety skin-touch mechanism that allows the system to fire only when there is direct contact with the skin. Laser beam levels – Some have wide spectrum wavelength, others allow the person to choose the ‘strength’ of the beam so on sensitive skin a lower level can be chosen. Removing hair from the facial areas with laser opposed to the system recommendation is at one own risk. People wrote reviews where they admitted they used the home laser system to remove hair from the sideburns or chin. Some laser hair removal manufacturers allow today the use of the systems on the face as long as it is at the cheek line downwards. They still mention that “Extra caution should be used when treating areas on the face to avoid the eyes”. For facial hair removal alternatives read below. Accuracy: From all the home laser systems, the Tria has the most fine tip where the laser light comes from. 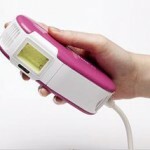 So if accuracy is part of safety, it is the best laser to do fine or small area hair removal. (The down side is that on the large body areas like the legs or back, it will take longer to complete the treatment, as the laser diameter is small, and overlapping is recommended). Discomfort: The Tria unit has 5 levels of beam power so a person can use the highest level he or she can stand the discomfort on the specific body area. 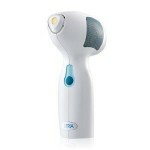 ==> Tria Laser Hair Removal Home System ($495). 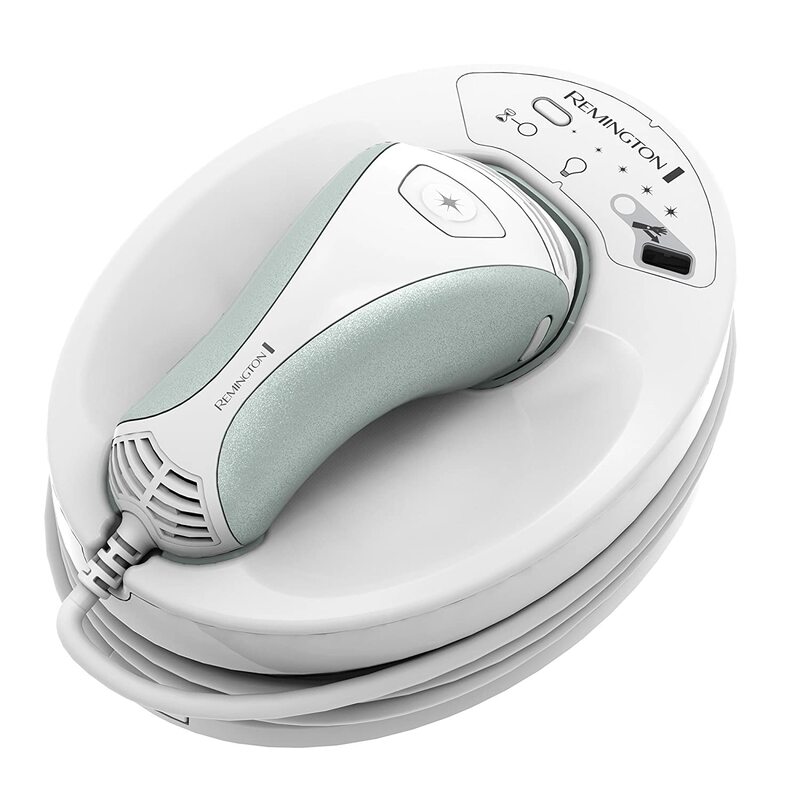 Silk’n SensEpil Hair Removal Device – Safety announcement: “Silk’n SensEpil can be used for the treatment of facial hair from the cheek line downwards. Extra caution should be used when treating areas on the face to avoid the eyes and avoid pulsing on red/pink lip line.” This system uses Home Pulsed Light (HPL), which has some benefits over the Laser. Treatment length: HPL has a much larger spot size (6 sq cm) this means you can treat both your legs in under 25 minutes. Lasers, with a smaller spot size (up to 1 sq cm) will take a longer time. Discomfort: HPL has a low energy level and a high peak power which allows for SensEpil hair removal to have no discomfort or that similar to a light elastic band. Laser hair removal has a higher energy level which may cause higher pain levels. Facial hair removal: Due to the low joules of energy emitted in each HPL pulse, it is allowed for use on the face. Studies conducted with HPL technology on more than 60 patients show very noticeable results on the face after approximately 4 treatments. This entry was posted in Home Removal Systems, Specific Body Hair Removal, Tria Laser and tagged chin hair removal, eyebrows hair removal, Facial hair removal, laser facial hair removal, remove hair from face, sideburns hair removal, upper lip hair removal, upperlip hair removal by . Bookmark the permalink.